What a busy december month it has been! That last month of 2015 ended before I realized it. I wish everybody a very happy and prosperous 2016! The last post in the web services series was about one month ago, so it is about time to post the next one. This time we will look at generating barcodes. One might argue “why do we need a web service to create a barcode?”. And this is a good point, as we can print barcodes on reports fairly easy. Here and here are some examples. However, these solutions require you to download and install a font or to download an external library. Not a big deal of course and servers might already have the correct font installed. Things become a little more complex if you look for a solution that does not require any additional installation. 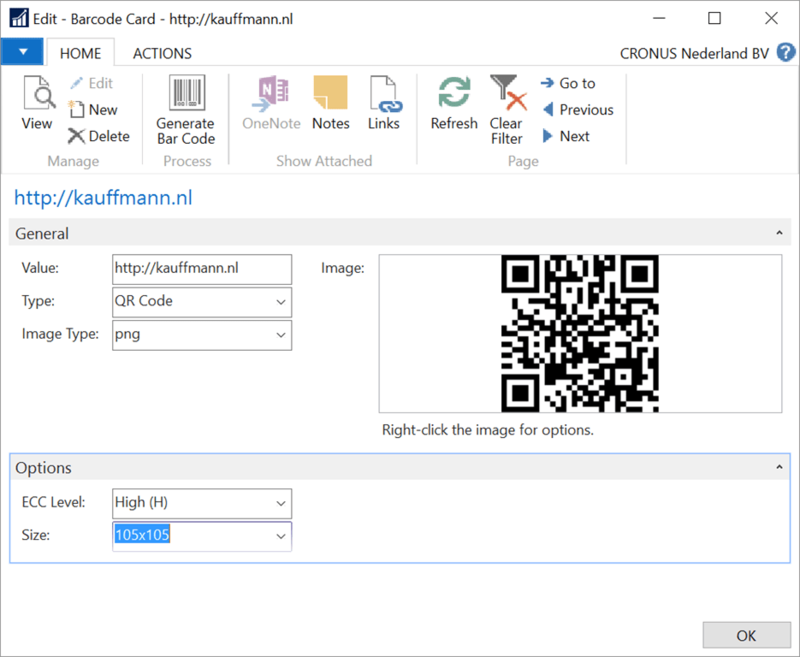 Or you maybe want to display a barcode an a screen or store it in a database as an image so it can be retrieved with a NAV web service. Well, here a web service for barcodes does a very good job. Replace [type] with the necessary type (c39, c128a, c128b, c128c, i2of5). Replace [value] with the value of your requested barcode. Replace [imagetype] with the type of image you would like created (png, gif, jpg). Use htm for more information about the barcode. This response from this web service is an image. Instead of a JSON or XML response, it provides you with the image data. In other words, the content-type in the response headers is image/png. For this example I have redesigned the original demo code from NAV Techdays so I could demonstrate all available options. 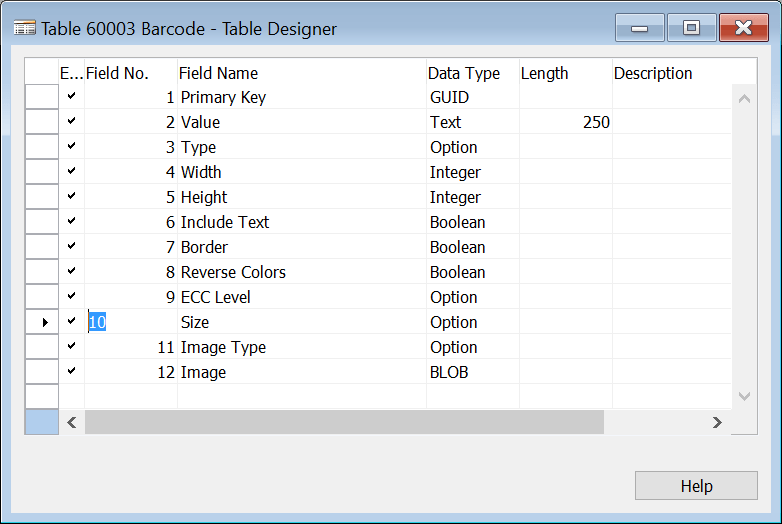 First I have create a table that can hold all types of barcodes. This is combined with a list page and a card page to display and enter the data. I assume that you are not waiting for an explanation how you can bind a record in this table with a item record or any other record, am I right? So instead of using ReadAsStringAsync on the response content, we use ReadAsStreamAsync and stream the result into a .Net MemoryStream. This stream is then saved into a BLOB file in the record. The BLOB field has as subtype Bitmap, so Dynamics NAV knows how to display it. That’s it! 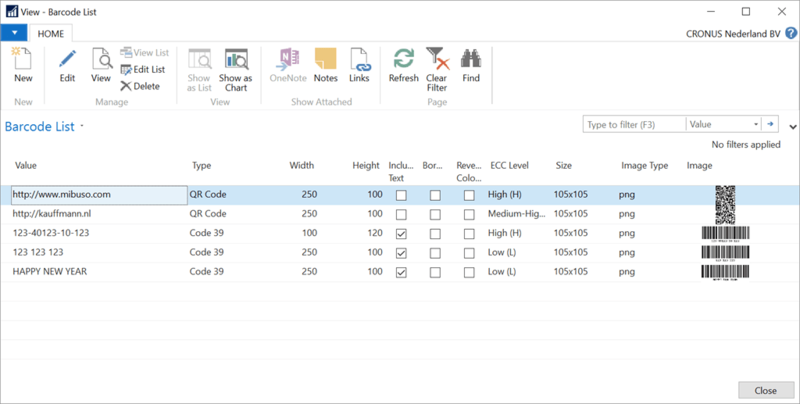 Next example will be about sending SMS messages from Dynamics NAV. It’s an image, so you can put it on a report. 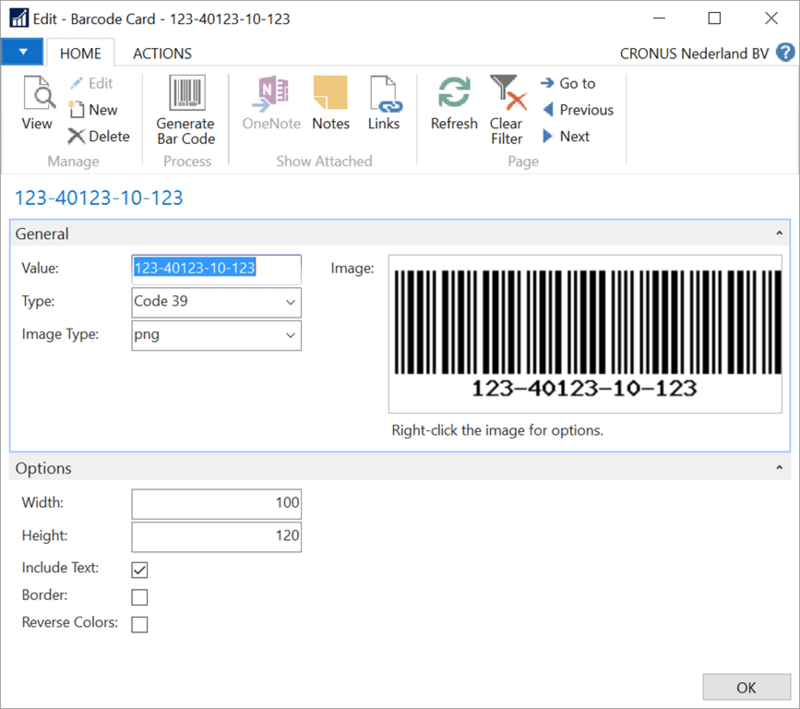 In case you use a label printer, you could consider to use specific barcode instruction. Most label printer support that. Hello there. You solution seems to work great when using the Development environment. My requirement is to use extensions. When I create the table via AL code, I get an error that the DotNet functions are not supported in al for the variables that are defined as DotNet in the GetOptionStringValue function. Any ideas how to get your code to work with Extensions ?? Please disregard my comment. I clicked on the wrong link which took me to the table and code . I should have clicked on the github link.